The SCL-4000 Digital Inkjet Color Label Printer gives you the ability to print full CMYK color labels on demand, eliminating the high cost of short label runs, the inventory expense associated with stocking different label designs and worry from potential “out-of-stock” situations. The SCL-4000D utilizes Canon Ink-Jet technology in a single pass architecture. This enables labels to be printed at speeds up to 7.9 inches per second with stunning print resolution of up to 1200 dpi. It is easily controlled through its Windows-based print driver. 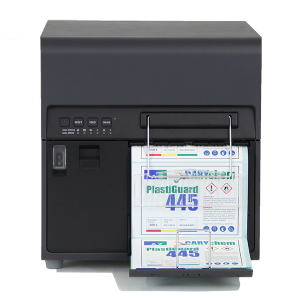 Use Photoshop, Paint, Photo Viewer and other programs to print directly to the SCL-4000D with no additional software. Available utility functions can determine ink usage and estimated cost per label. The SCL-4000D is suited to a wide variety of on-demand label printing applications including: GHS labels, cosmetic and medicine packaging, gourmet food and bottle labels, baggage tags, and MORE! Full color labels can be printed on paper or synthetic stocks up to 4″ wide with full bleed or with a border and is available with durable dye based ink or with pigmented ink. An 8″ wide version is also available for printing larger labels such as drum, crate and pallet labels. 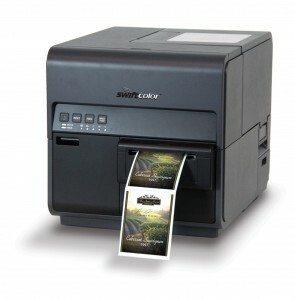 The SCL-8000P Digital Inkjet Color Label Printer is the “Big Daddy” of color label printing. With a wide 8.5″ print width, it is perfect for printing GHS labeling, pallet labels, drum labels and large product labels. 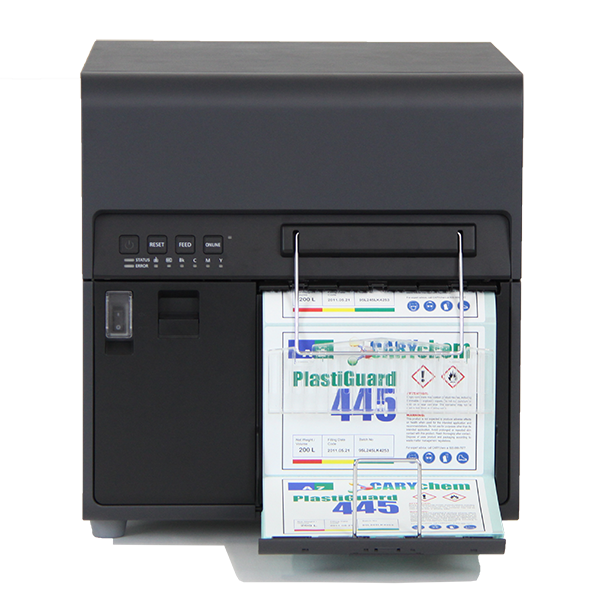 It is also the ideal color printer for printing a variety of widths should some of your labels be over 4″ wide. The 8000P utilized durable pigmented ink which can be printed onto matte, gloss or poly label stocks with adhesives to suit your application. Like the 4000, the 8000P features high resolution 1200 dpi printing, single pass printing architecture, and Windows driver for ease of use.